Students can try 35 different types of sports at the Sports Show, which will take place at the NEC in Birmingham on 25th and 26th June. The show will occupy 11 halls at the NEC and feature 27 different Sports Worlds which will showcase sports from archery and bobsled to dodgeball and dance fitness. Each world will offer have a go sessions and also present pupils with the chance to see professionals in action. The Premier League will be taking part in the event, putting the Premier League Trophy on display and offering skills coaching. As will golf’s European Tour. Ahead of its display at the Hazeltine National Golf Course, the Ryder Cup will be showcased. Plus, there will be a golf zone for pupils to get a feel for the mechanics of the sport. Judy Murray, meanwhile, will bring her Miss-Hits and Tennis on the Road programmes to the show. Tennis on the Road aims to get more adults and children involved in the sport. Judy Murray commented, “I’m delighted to be bringing my Miss-Hits and Tennis on the Road programmes to the Sports Show to help give visitors the chance to try tennis. 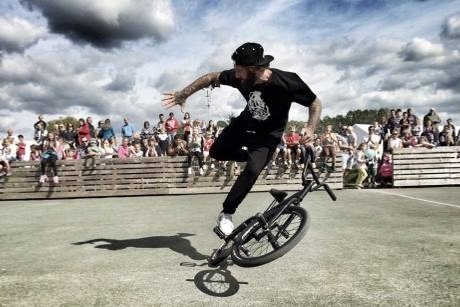 EXTREME will also be at the show to showcase live entertainment and lead ‘have a go’ sessions in skateboarding, BMX and mountain bike professionals. A number of famous faces from the sporting world will be at the show, including Paula Radcliffe, Sir Clive Woodward, Darcy Bussell and Martin Johnson. The sports heroes will be joined by national governing bodies including the likes of Sport England and will be found in the Masterclass Arena as well as offering hands-on coaching along with selfies and signings in the Sports Worlds. For more information visit www.sports-show.co.uk.